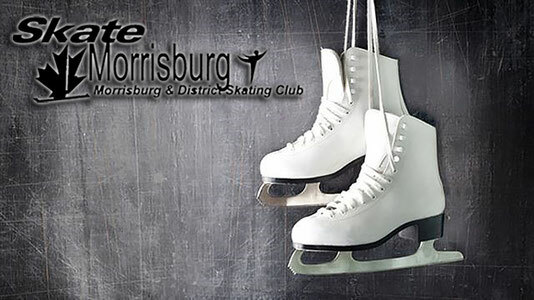 CanSkate Information - skatemorrisburgs jimdo page! You may download and print a hard copy of our 2018-2019 CanSkate Calendar by clicking the button below. I WOULD LIKE TO REGISTER MY CHILD FOR SKATING LESSONS, HOW DO I SIGN UP? Please contact our Registrar (Jenn Eamon) at info@skatemorrisburg.com. MY CHILD IS 3 YEARS OLD. CAN I SIGN HIM/HER UP FOR CANSKATE? Yes, children must be 3 years old by December 31st of the current year. MY CHILD HAS NEVER SKATED BEFORE, IS THIS OKAY? Absolutely! Our CanSkate program is designed to assist skaters at every level of development. Once our coaches have assessed the skater, they will make sure to assign them to our age and stage appropriate group. At the end of each season, you will receive a report card with a record of their accomplishments. If your child is absent on the last class, please contact info@skatemorrisburg.com to request a pick up for their report card. Skaters start right where they left off at the beginning of the next season. Skates are the most important tool a skater has on the ice. Hockey skates, recreational and figure skates can be used for CanSkate. If you are looking to support locally, Sports Fix within the arena sells used skates as well as sharpens skates. Canadian Tire Morrisburg also sells new skates of all types. Our club’s website also has a variety of gently used, good quality skates and clothing for sale by it’s members. Check out the “Skates and Clothing for Sale” tab on our website. All skaters working on Pre-Can and Stages 1 - 5 must wear a CSA approved hockey helmet for their CanSkate lessons. Bike and ski helmets will not be acceptable. Our skaters enjoy fun days such as Halloween dress-up day, other fun dress up days, Skate A Thon etc. We also have our annual visit with Santa. Wear clothing that is comfortable, warm, light and allows your child to move freely. Make sure to layer clothes so your child can remove or add a piece of clothing to suit changing temperatures and exertion levels. The coaches will be using markers on the ice when drawing out the skater’s circuits. The marker may rub off the ice if your child falls, so please dress your child in dark clothing. We cannot guarantee the marker will come out in the wash.
Of course! The more time a skater spends on the ice, the more chance for progression! Skaters benefit from working together in a group environment. The $32.70 Skate Canada membership fee and $3.00 Skate Canada Safe Sport fee must be paid for every skater registered with the Morrisburg & District Skating Club. The membership and safe sport fee provides insurance for each member providing our club and skaters a safe environment in which we can enjoy skating. If you move away from our area, you can register in any Skate Canada club in your new city and start at the badge level you left off at in MDSC! Skating lessons are a fun and exciting challenge for young children. Our Skate Canada Certified Professional Coaches are fun and enthusiastic individuals who are committed to providing quality skating programs for our members. But parents please remember that ice is slippery and hard, not all children feel comfortable on the ice right away. It may take a few sessions before your child settles in to skating. If you find your child is still not happy after a few sessions, please talk to your coach and ask their advice. Please see MDSC’s refund policy. No, the Morrisburg & District Skating Club offers CanSkate from the end of September until the end of March. The Morrisburg arena does not keep its’ ice during the summer months. MDSC accepts late registrations until January. Depending on when you register, your price may be pro-rated based on the number of sessions remaining in the season. If you have more questions, please email info@skatemorrisburg.com.